Price is good due to clearance sales. Satisfied with products. Just delivery a bit slow. Second time order, price cheaper than supermarket. 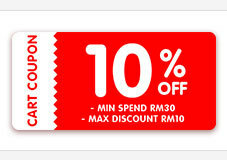 Best value buy with coupon.